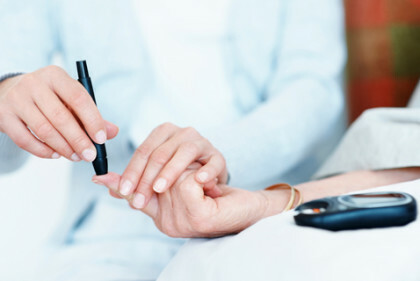 Lucknow: In its recent initiative towards diabetes control, the state government has decided to stock government hospitals with reusable insulin pens. The step will be implemented by the National Health Mission under the National Programme for control non-communicable diseases, with the total of distribution among masses being set at Rs 5 crore, by the state. The cost of one reusable insulin pen ranges from Rs 600-2,000 in the market. As per officials orders for insulin pens have been placed by the authorities and would be made available at the government hospitals across the state in the first week of December. With Diabetes becoming a common disease among masses and the number of people suffering with the disease increasing day by day, there has been an immediate need for government intervention. Insulin Pens will be highly beneficial and especially for children suffering with diabetes (Type 1) as well as (Type 2). While praising the government move, health activist, Bobby Ramakant expressed a need for extending the initiative to specialised institutes like KGMU and Sanjay Gandhi Post Graduate Institute of Medical Sciences which are dealing with a number of cases relating diabetes management. “SGPGIMS runs a juvenile diabetes clinic where one can see how useful an insulin pen can be for a child with diabetes. The unit also conducted a study to show that the family of a child with diabetes spends about 18% of its annual income on diabetes management, which means a lot,” he added.